Beginning January 1, local non-profit organizations are invited to apply for Pfizer Connecticut Laboratories’ 2019/2020 competitive grants. Applications from organizations serving communities in Southeastern Connecticut, the greater New Haven area, and southern Rhode Island will be considered. Priority will be given to programs that bring STEM (science, technology, engineering and math) to students from elementary through high school. Additional grants will be made to programs that provide for the underserved or to support local civic and cultural institutions. Grants will range from $1,000 and will not exceed $10,000. The Connecticut Laboratories community grants program does not fund access to healthcare or special events such as fundraising dinners, charity sporting events, galas and award ceremonies, or capital improvements. 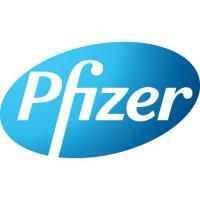 Organizations can apply online at http://pfizercommunitygrants.versaic.com no later than March 31 for programs taking place July 2019 through June 2020. For more information, please email PfizerConnecticutLabs@Pfizer.com.